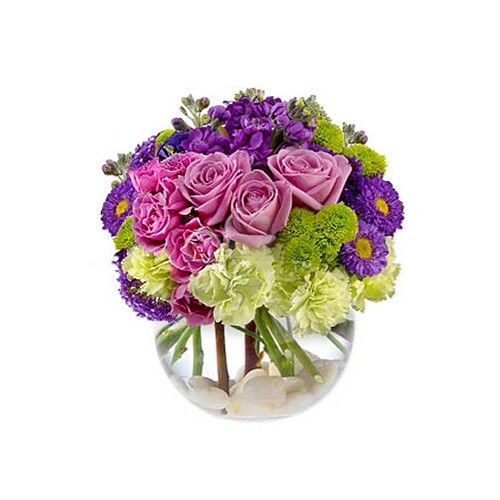 Express your passion with this "Mixed for You" arrangement of pink spray roses, purple carnations, green carnations, button mum chrysanthemums, purple chrysanthemums and purple snapdragons. A beautiful presentation that makes an excellent gift for a birthday, anniversary, thank you, or any special occasion. Vase may vary depending upon availability.